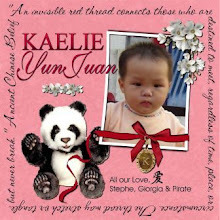 I really think it will be close to the end of the year when see Kaelie's face for the first time. With thousands of dignitaries, athletes, families, and fans pouring into Beijing in August, I just don't see how the CCAA will be able to operate normally. I think it's best to assume that, in a best case scenerio, things will be slow and quiet at the CCAA during August. The CCAA is a government department, and their energies could be used elsewhere during this international event. The other thing that throws off these predictions is that RQ's current poll closed 4 months ago and only goes through February 12, 2006. How many families have dropped out, changed to special needs, or found RQ in the last few months? It puts a big kink into things and I hope that another poll will be posted soon. So, to guard my heart, I'm now hoping for a December referral with travel in mid-January, 2009 before Chinese New Year. This will put us a few month's shy of four years of processing this adoption (we applied to our agency May 30, 2005). 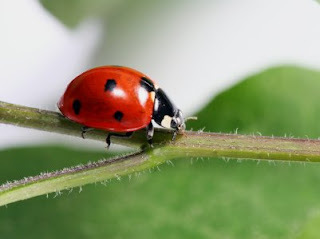 Here's a little ladybug to all of my other waiting China mamas! Maybe she will bring us a little luck! Wow Karen! to see it like that? What a nightmare. Yuck. There is no way to sugar coat that I guess. This is even worse than last year! I can't believe that they won't even make it out of Feb '06 in 2008! Even though your predictions show us getting our referral in July, I am still very upset that so many Precious Pandas will have to wait even longer! Do you have a bucket that I can throw up in?